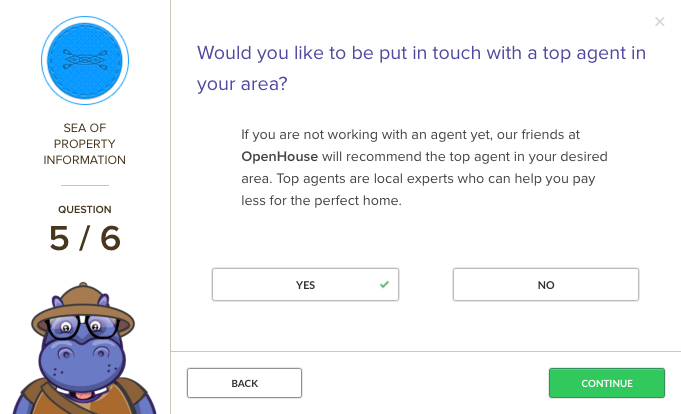 A new partnership with Chicagoland's MortgageHippo, an online guide that walks you through every step of the loan transaction, is one piece of OpenHouse's larger plan to team up with key players in the mortgage space. Through mortgagehippo.agentace.com, users will now have the option to access OpenHouses's neighborhood and property data in addition to finding an agent match. A muddled understanding of the mortgage process hangs over the white-picket fence dream of owning a home like a dark cloud for many buyers. While the digital platform OpenHouse (formerly Agent Ace) has made the property search and agent selection process more buyer-friendly, its data-driven services haven’t thoroughly tackled this daunting precursor to the house hunt — but that’s about to change. A new partnership with Chicagoland’s MortgageHippo, an online guide that walks you through every step of the loan transaction, is one piece of OpenHouse’s larger plan to team up with key players in the mortgage space. OpenHouse is embarking on larger journey to team up with key players in the mortgage space. OpenHouse, a desktop and mobile search platform, matches agents with consumers using transaction history and criteria including price range, type of home, school district and demographics. The company takes a slice of any commission earned by agents who accept its referrals. In January, the Santa Monica, California-based company integrated with NerdWallet’s Home Affordability Calculator, which takes users’ income, monthly spending, debt, savings and city information and estimates how much house they can afford, and also added NerdWallet’s financial advice content to its site. Joining forces with MortgageHippo expands the range of loan-assistance services available through OpenHouse, including an interactive dashboard that helps buyers decide which loan options are the best fit for them and a calculator the determines the impact of adding a co-borrower to the mortgage application. 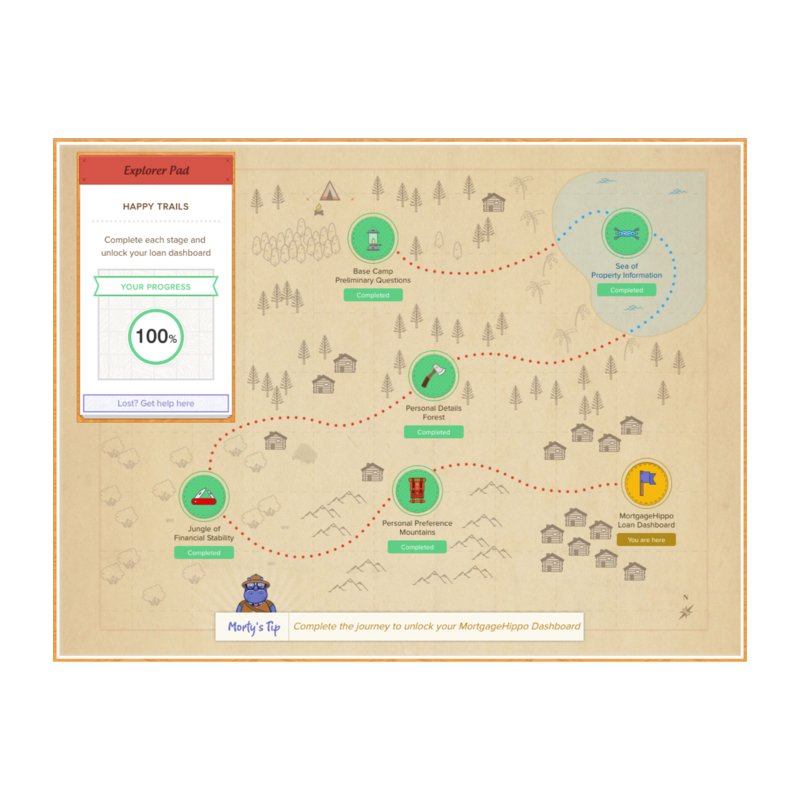 The creative user experience that powers MortgageHippo shines through with its interactive outdoors-themed roadmap that takes buyers from “basecamp preliminary questions” to the “jungle of financial stability” and beyond. Through mortgagehippo.agentace.com, users will now have the option to access OpenHouses’s neighborhood and property data in addition to finding an agent match. MortgageHippo’s services are powered by a creative and friendly UX. 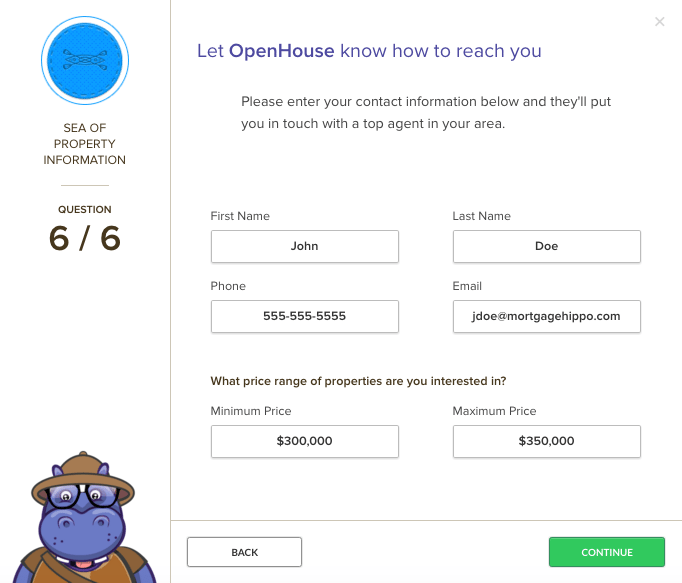 “OpenHouse’s data-driven approach to home search and real estate agent connections matches seamlessly with MortgageHippo’s transparent and innovative home loan solution. By partnering together, customers now have a truly one-stop solution to search for a home, find a top real estate agent, and source the best mortgage for their next home,” said Jason Nierman, VP of Business Development at OpenHouse.